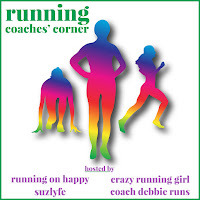 Have you ever been sidelined from running, but wanted to maintain some fitness and muscle tone? 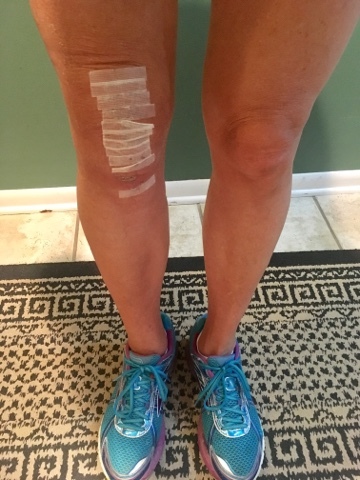 A healing suture wound means no water (not that I was a swimmer anyways) and a suture site near the knee means no (or very limited) bending. Also, at least in my case, I have a PICC line (for post-op antibiotics) to consider...I can't be doing anything too hot & heavy that will cause excess perspiration. What's a gal to do???? I bring you some TLC of the Knee workout options! I came up with these moves just a couple days after my recent surgery. As a runner, not being able to run is a pretty major buzz kill, but not being able to do much with my knees (specifically the recovering knee) is an entire new ball game. There will not be any biking, squats or lunges happening for a couple months. The main components to my TLC of the Knee are leg moves. I have worked hard the past 12 years to build up the muscles in my legs and I don't want them taking a vacay along with my running. A leg lift is the perfect solution to this (temporary) complicated problem. You can do them sitting, standing, or lying down. 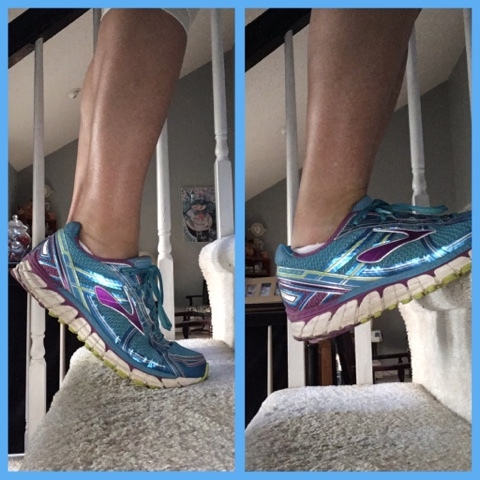 You can lift your legs forward, sideways, or "in reverse" without your knee being affected. Since I've had to do in-home IV infusions (via the PICC line) three times each day, I do my leg lifts during that time. The infusions themselves only take about four minutes, but that's a long time to just be standing around watching the clock. I do these in sets of 25 and alternate the direction. I usually start with my right leg, doing 25 traditional "forward" lifts (working the quads and glutes), then do 25 lifts with my foot pointed outward (working the inner thigh, as well as the quads and glutes). Then, I repeat that sequence with my left leg. As a general rule, the slower I do the leg lift reps, the more of a burn I'll feel (#fairwarning). Finally, I end with a 15-20 second balance hold of each leg (like a leg lift, except you hold the leg up the entire time and don't lower it until the allotted time has ended). Short and sweet, but not sweaty. I do these three times each day, so if you do the math, that nets me 300 total leg lifts (150 on each leg) every 24-hours. I should mention doing these leg lifts have a three-fold benefit: (1)The lifted leg obviously sees the most action, but (2) the stationary leg's muscles are also being utilized with each "lift." And (3) let's not forget the entire body is at work in keeping you in balance, so you will probably feel a burn in your core as well. I also do calf raises on my stairway. My calves get a pretty good workout just from walking around, but the calf raises help me give a more concerted effort to those muscles specifically. And, obviously, planking is a favorite all-over body burn. I feel a lot of the burn in my thighs and buttocks, as well as my core, when I'm in a forearm plank position. 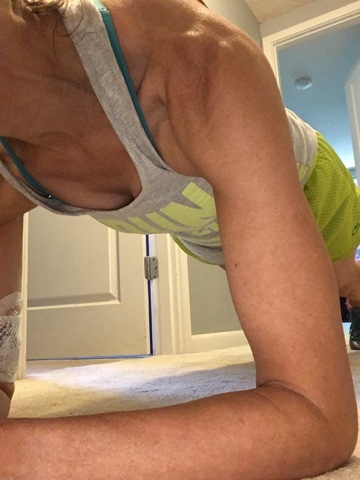 Currently, I'm averaging 5- minutes of planking every day...2:30 forearm in the morning, and 1:15 forearm sideways (each side) in the evening. 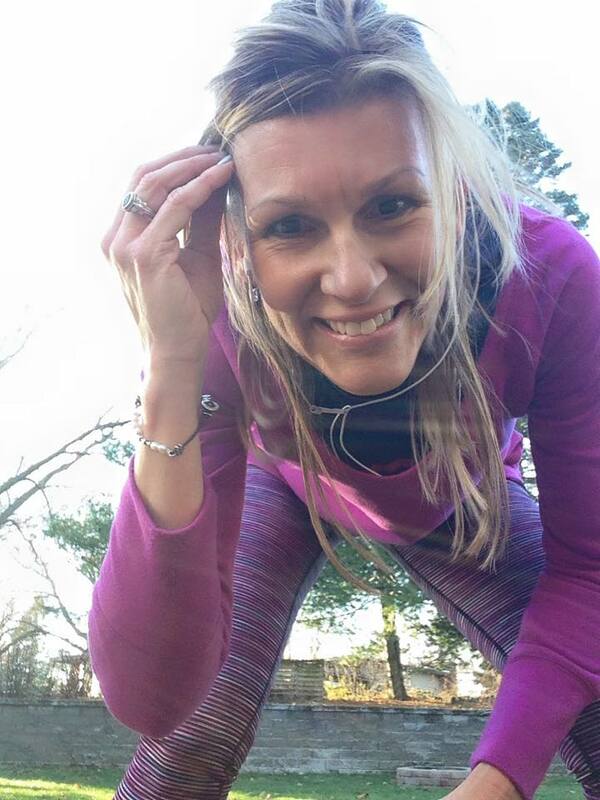 *good old-fashioned push-ups (on your toes, NOT on your knees)...I'm doing 30 of these daily. *yoga (positions that will not require bent knees to perform)...Warrior 3 is the BOMB! ***Disclaimer*** I am not a sports medicine specialist, a physical therapist, or a trainer. No two people will have the same injuries (in the exact locations), so use your best judgement if you decide to try any of these moves. These are exercises that I came up with and are geared towards my specific situation and fitness level. What do you think? Care to give these moves a try? 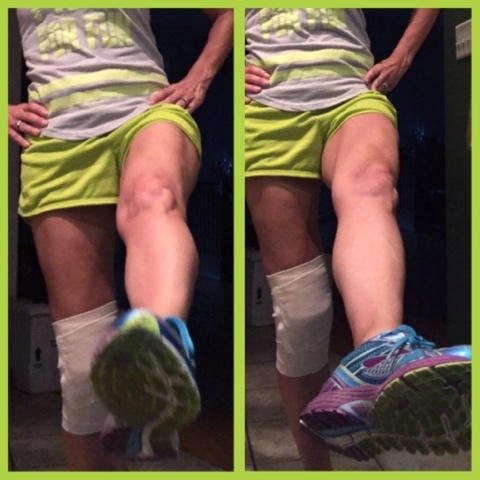 Have you ever been sidelined from running (or a favorite sport) for an extended time? I plan to continue doing the leg lifts regularly when I'm granted clearance to resume running (hopefully in early September). 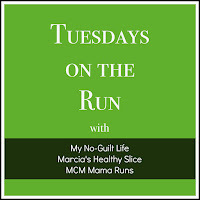 **I'm linking up with Marcia and Patty and Erika for Tuesdays on the Run... Join the party! Glad to see you've found ways to keep active! I always feel like you can keep moving through injury. 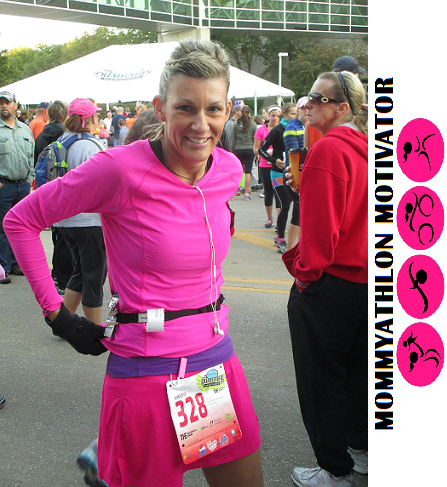 I love that you are finding tons of ways to stay active despite your injury! I had to wear an air cast for a few weeks at the end of last year and I focused a lot on core and upper body exercises since I couldn't run or cycle. I am thinking maybe you could do some exercises using a stability ball to support your weight? I think you are off to a great start with your leg lifts and upper body work. Where there's a will, there's a way -- always. 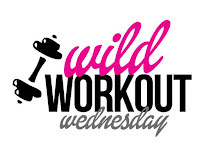 You're so enterprising with your fitness. If I couldn't use or bend my knee, I'd say f' it and watch all the TV and eat all the bon bons. Wow! 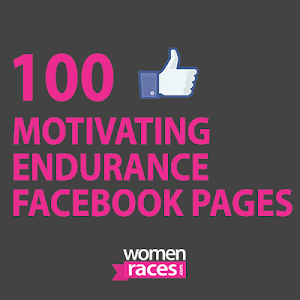 I love the commitment! When I sprained my ankle a few years ago during marathon training I did pool running but that's about it. These are great idea. I think you are getting more activity into your average day than I do with fully bendable knees! There's really so much you can do, as long as you are careful and make sure you aren't unintentionally putting strain on your knee. You are going to be so strong at the end of this, your come-back should be amazing! You are doing great!!! You have embraced your weakness at the moment and continue to be super active, more than most regular people are without injuries. Here's to healing quickly! way to get it in how you can!! Oh man, I am sidelined right now though not nearly as restrictive as you. I am doing what I can but cannot imagine being where you are. Way to do what you can when you can, you rock! You always find ways to keep moving, these are great ideas! I think I need do add leg lifts and calf raises to my routine! Despite being sidelined, this recovery has been a blessing in that I have found creative ways to keep active...a lot of things I took for granted just a few weeks ago. These are all great ideas! Love that you're not allowing yourself to be 100% sidelined by this curve ball! I appreciate the ingenuity, I recently fell off my bike and broke my hand, after a few weeks I COULD run, but couldn't do much else, definitely losing some fitness, but trying hard not to. These seem great even when you aren't injured! I'm not good at sitting idle, and I needed something to keep me moving (or, at least, parts of me moving LOL). Most people in your situation would use this as an opportunity to take a vacation from all things that are fitness. You are quite the inspiration in how you've become so creative with staying active while making accommodations for your knee. Continuing to stay active now will help you transition back to running once you're cleared to do so. Keep it up! Great ways to get your workouts in while your knee continues to heal. Five minutes of planking per day??? Wowsa! I've been following your injury and recovery and thinking how challenging it must be, but I have to say that I'm not surprised you have found a way to workout around it. I was already impressed with your planking numbers, but 30 pushups, on your TOES! You go girl! So sorry you're sidelined right now! Way to make the most of it, though!